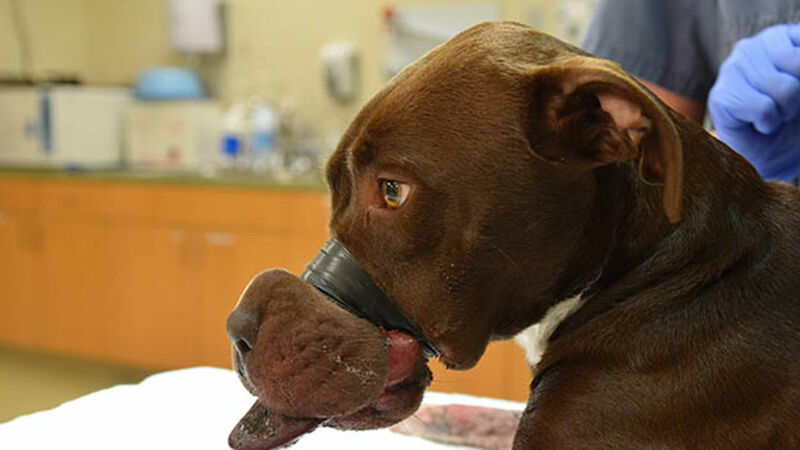 CHARLESTON, South Carolina -- A South Carolina man who wrapped electrical tape around a dog's muzzle to stop her from barking has been sentenced to five years in prison. It was on Wednesday when Caitlyn, a 15-month-old pit bull mix, was found outside its former owner's home with its mouth bound shut by electrical tape. Now, an arrest has been made for the man believed responsible. The Associated Press reports William Dodson's sentence Friday represented the state's maximum for animal cruelty. However, Dodson's sentence for mistreating Caitlyn won't extend his prison time. The 43-year-old man was sentenced a day earlier in federal court to 15 years on a gun charge stemming from a traffic stop months before Caitlyn was found in spring 2015. Under a plea agreement, the two sentences will run simultaneously. "I wish I could give you more," Judge Markley Dennis told Dodson in court Friday. Still, the sentence sends a message that animal cruelty won't be tolerated, said Charleston Animal Society's director of anti-cruelty and outreach, Aldwin Roman. "We're going to do everything we can within the law to stop this, and then we're going to go beyond and change our laws and make them stronger," he told The Post and Courier of Charleston. Dodson, who was free on bail from the traffic stop, had chained Caitlyn outside after wrapping her muzzle nine times. But the then 15-month-old Staffordshire bull terrier mix escaped and was found in critical condition. The tape cut off blood flow to her tongue. Veterinarians at the Animal Society unraveled it after an estimated 36 hours. "I remember seeing the fear... in her eyes," Roman said. "That was 36 hours of torture." 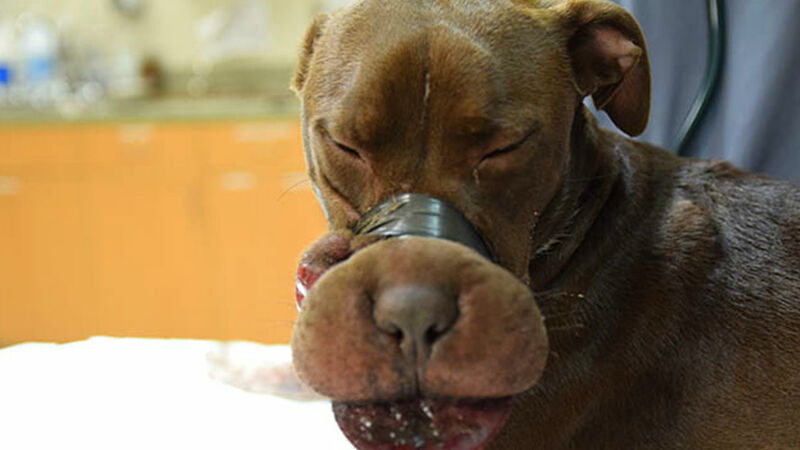 The case sparked international outrage after photos of Caitlyn's tightly bound muzzle spread on social media. She required repeated surgeries and lost part of her tongue. Her muzzle is still scarred. Dodson pleaded guilty to felony animal cruelty last August. Charleston Animal Society CEO Joe Elmore said at the time that Caitlyn was living with a new family but continued to suffer from anxiety and stress. Dodson still faces state drug charges stemming from the March 2015 traffic stop. Prosecutors say he tossed a loaded pistol, along with cocaine and marijuana, as he ran from North Charleston police officers.